I'm pleased to be able to offer you a chance to participate in a big book giveaway by CrossReads. Be sure to read all the way to the end of this post to see how you can get a chance to win sixteen great novels. First, though, I hope you are inspired by Staci Stallings‘ thoughts on the power that comes when we acknowledge our own weakness. Our culture today worships the individual who succeeds. We hold up as role models those who are tough, who fight through adversity and come out on the other side, those who know the most and do the most. We’ve been told almost from birth that any situation you face should be met with a “can do” spirit. “I Can” is practically stamped on our birth certificates before we exit the hospital. In schools, administrators design programs that foster “self-reliance” and “self-respect.” They teach children to believe in themselves and work toward their goals. I suppose from a worldly perspective that’s about all we could ever hope for. After all, without God, who else are you going to rely on? There is a song that talks about no one is going to have your back when you fall. That’s the juice we’re all steeped in. We hear it in commercials and on the radio. We even hear it from each other. But here’s the thing: None of this is Biblical. None of it is based on a relationship with God. It is all based in self, which ultimately is the very sin that got Adam and Eve thrown out of the garden. So I invite you for a moment to take a good, hard look at these messages that sound so good and so right, and see them for what they are: lies of the Enemy. That may sound harsh, but speaking as someone who practically gorged herself on this kind of thinking for 35 years, I can tell you that this way of thinking is not just sin–it is deadly. When you rely on yourself, what happens when you are weak? What happens when your doubt overtakes your faith? What happens when you’re walking on water with a friend who really needs you, and you suddenly sense that you can’t do this? I’ve felt the panic that rises at this very thought. I have fought it. I have tried to shout it down with platitudes and positive thoughts, but the sad truth is, on my own I’m not capable of handling the depth of brokenness in this world. Sometimes I don’t know what to say, I don’t know what to do, I’m swimming and swimming, but I sense that at any moment I’m going under with no way to find up again. That’s often what happens when God puts you out into deep water with the emotional issues of others–family, friends, those we work with, our children, and spouses. There is a depth to the need that none of us can quite meet. No matter how much we want to. No matter how much we try. We simply can’t because as humans we are limited. We have limited understanding, limited wisdom, limited patience, limited everything. But here’s a secret Satan never wanted you to hear. When you think you can’t, you’re right. Now, that doesn’t give you license to give up. It is, instead, a call to stop trusting yourself and start trusting God. Jesus is walking on that water with you, and He knows you can’t. He never meant for you to. God knows you’re human. He knows you don’t have all of the answers. He doesn’t expect you to. What He wants is for every one of these occasions of “I can’t” panic to be cause for you to call out to Him, to ask Him into the situation, to reach for His help, His love, His strength, His wisdom, His peace. He wants nothing more than to come to your assistance, but you have to recognize your own need for Him and make the choice to ask. There is power–God’s power–waiting in the words “I can’t” so long as they are followed by, “but He can.” Rest in that power. Reach for that power. For He is always right there, ready and willing to do what you can’t. What about you? 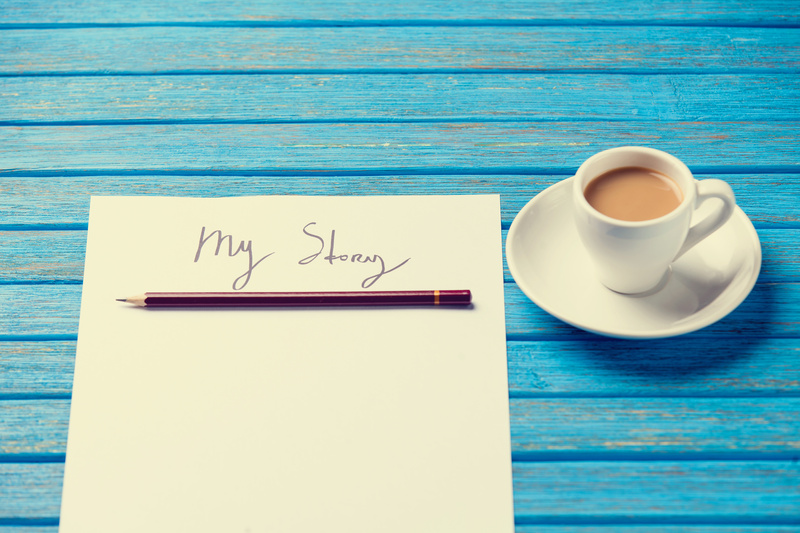 Did Staci's thoughts bring you a new perspective on that pressure to be self-reliant? Be sure to click on the link below to get your chance to win 16 great books, including one by Staci! Would you like to expand your library? to WIN 16 Christian Paperbacks! including Eternity from Staci Stallings, the author of this article! 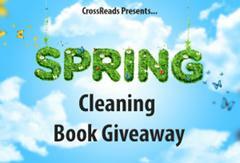 Enter the CrossReads Spring Cleaning Giveaway! 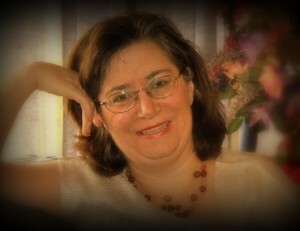 If you love great Christian fiction, meet Best Selling Christian Romance author, Staci Stallings. 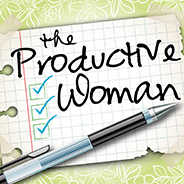 Staci’s titles range from YA to adult, inspirational to full-on Christian. Each title is a new adventure! That’s what keeps Staci writing and you reading. And have an inspired day! I'm pleased to welcome author Sharon Srock to I Was Just Thinking . . . . Sharon's here to share a reminder of the faithfulness of the God who sees us. Be sure to check at the end of the post to find out how to get a chance for a free copy of Sharon's latest novel. Do you have a comfort zone? You know, that place you live where…you might not have everything you want…you might not have everything you feel like God promised you…but it’s a “good enough” place to wait, while you wait. Jacob had a place like that. God had promised the land to Abraham and his family. As the promised moved down the line, Jacob found himself comfortable in the house of his Uncle/father-in-law. Joseph had a place like that. God gave him dreams as a youth, but I wonder, as time wore on and life seemed to move in a drastically different direction, if he thought he’d misunderstood. I’ll bet life was pretty good being second in charge of Egypt during those seven years of plenty. Esther had it easy in the palace in the days before Haman’s plot. Mary was a “good Jewish girl” engaged to a “good Jewish guy”… Then, something happened to each of them that changed the course of their lives. Throughout the waiting, throughout the time of comfort, and the upheavals that came later, God’s plan for these individuals never changed. Our lives are like the seasons on a calendar. Times of rest (winter), times for stretching the parameters (spring), times of growth (summer) and times of bleakness (fall). Each of those seasons is a challenge to thrive and be what God called us to be. Sometimes the path God puts us on may not seem like the path to our destiny. I’m sure Jacob had questions while he worked fourteen years for his wives. Joseph must have wondered about his dreams while he spent years in an Egyptian prison. But God knew. God always knows. I love the last six words of that verse: expected, planned, promised. My life is not a fluke. I am not a mistake. Every step of my childhood has been planned by the Father. 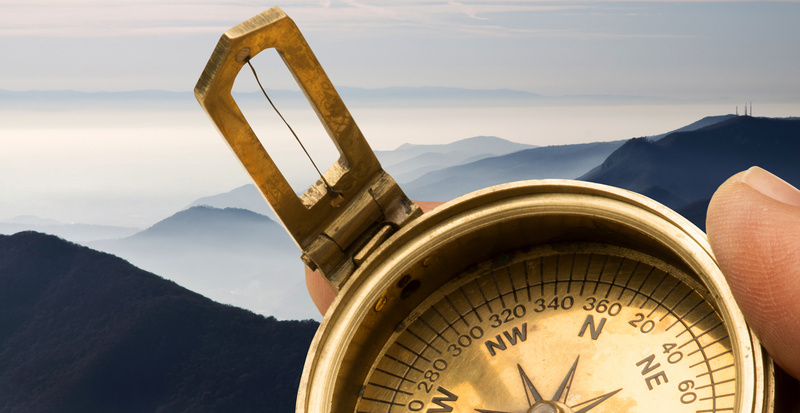 Where are you in this season of your life? Where do you want to be? What are you doing to get there? Thank you to Sharon for bringing this encouraging message to I Was Just Thinking . . . NOTE: I'm excited to offer a free copy of The Women of Valley View: Terri to one lucky reader. Just leave a comment below with your answer to one of Sharon's questions, and be sure to include your email address in your comment. I'll announce the winner during the first week of May! Sharon Srock lives with her husband, Larry, and two dogs in rural Oklahoma. She is a mother, grandmother, and Sunday School teacher. Sharon has one and three-quarters jobs and writes in her spare time. Her favorite hobby is traveling with her grandchildren. She is a member of the American Christian Fiction Writers and currently serves as treasurer for her local chapter. Sharon’s debut novel, The Women of Valley View: Callie, released in October 2012. The second in the series, The Women of Valley View: Terri, releases in April 2013. Connect with Sharon at her blog, on Facebook, on Twitter, or on Goodreads. I'm so pleased to welcome author Staci Stallings back to I Was Just Thinking . . . (see her first guest post here). I hope you enjoy her thoughts–leave a comment below to let her (and me) know what you think. Also, note the link near the bottom of the post for a chance to win great prizes! The savior in Og Mandino’s The Greatest Miracle in the World is a mysterious old man with an affinity for what he calls human rags. In the story Og is the rag—an ambitious, successful magazine publisher who is burning out faster than a candle in water. The irony is that his magazine is about Success, but he’s become increasingly dissatisfied with everything in his life. And then his ragpicker shows up. It’s not hard to see that our world does a good job of making millions upon millions feel like rags. We are washed up, tired, empty, and worn out. It is as if the human rag pile is ten miles high and getting higher by the moment. It would seem to be evident that the world needs more ragpickers—those people who are not only not on the rag heap, but who can help those who are on it to get off. After reading The Greatest Miracle in the World, I determined for myself that I would be a ragpicker to the best of my ability. What I soon learned is that as a role model for my three kids, I am daily showing them how to be ragpickers as well. That was not my original intention, but it’s working. My oldest daughter came home from school one day when she was in second grade, and we were talking about recess. She was telling me about the “groups” the kids had formed. One was the cheerleading group. One was the acting group, one was the sports group, and on and on. She was telling me how she had been playing with one little girl who had gotten thrown out of her group for not following all the rules. It was then that I realized she was a ragpicker! She wasn’t desperately trying to be a part of what the world said she had to be. No, she was content to be herself and to pick up the rags until they felt loved enough to go back to the group. I can’t say that I did it, but I’d like to give some credit to Mr. Mandino for helping me to decide to be a ragpicker myself. I think it was the key to teaching me to raise ragpickers, and I will forever be grateful for that lesson. Staci Stallings, the author of this article, is a #1 Best Selling author and the co-founder of CrossReads.com, a new website that gives Christian readers and authors a place to meet and fellowship. With a newsletter, a blog, a forum, and other exciting, inspiring areas to visit, CrossReads visitors can find fabulous Christian books they never knew existed. Come over on Feb. 12-14, and enter to win one of 169 virtual baskets of ebooks, gift cards, and other prizes! Staci's article made me think about my own attitude–is it more important to me to belong to a “group,” or to be the person who sees those around me in need of love and understanding? What about you?